No.1 Everlasto (2mm) Bleached cotton piping cord -0.5kg Spool. For use in upholstery, cushion and clothing trims, as well as for general craft applications. Approximate Runnage - 750m per kilo. Made in the UK by James Lever. 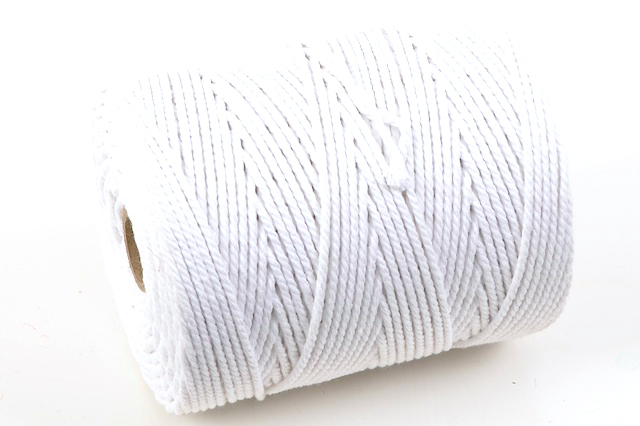 No.1 Everlasto (2mm) Bleached cotton piping cord - 1kg Spool. Soft Coloured Jutes - 50m x 10 Assorted Spools. 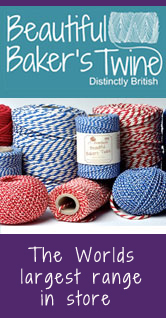 The worlds largest range of Bakers' Twine - Solid - Original - 2 Col - 3 Col & more! The Craft Twinery is part of the Rope Source Group, a family business with decades of experience in the cordage industry. We are online retailers specialising in a wide range craft twines, cords, ropes, materials and associated crafting products.